Despite an exculpatory crime lab toxicology result, I was convicted of a DUI (and other crimes dependent on the DUI) and sentenced to a lengthy prison term. This is the executive summary of a complaint that I will be filing with ASCLD/LAB (American Society of Crime Laboratory Directors/Laboratory Accreditation Board) and the National Institute of Justice (A branch of US DOJ that funds these laboratories through Paul Coverdell grants), with copies to other authorities. The reference list is extensive, as is the body of the complaint. This complaint has to do with improper testimony of a crime lab analyst, in a non-DNA toxicology case that resulted in conviction and sentence. I will share the link to the full body of the complaint, once it is completed. This is a formal complaint, regarding the trial testimony of a Kentucky lab analyst, during a jury trial on January 22, 2008. The analyst was, and still is, employed at a lab that was at the time of the testimony, and still is, under your purview. The analyst’s name is Ryan Johnson. He works in the Toxicology section of the Central Forensic Laboratory, a division of the Kentucky State Police (KSP), in Frankfort, KY. The Kentucky State Police and its labs are a division of the Kentucky government known as the Justice and Public Safety Department. Mr. Johnson is the current supervisor for the Toxicology division of this lab, although in 2008 when he testified, I do not believe he was a supervisor. The lab Director is Ms.Laura Sudkamp. Posing as a clinical and pharmacology ‘expert witness,’ Mr. Johnson based his under-oath statements on, in some cases, information that did not exist, regarding the prescription benzodiazepine, clonazepam. In other instances he took a drastic departure from the FDA-regulated package insert and delivered exactly the opposite information to the jury, or delivered information and represented it as accepted fact, when such information did not exist. He misled the jury by claiming by inference that this product, since it happens to be a benzodiazepine, causes nystagmus, for example. In truth, clonazepam can be and has been, according to the peer-reviewed literature (more than a few sources), used to treat and alleviate pathological nystagmus and other problems related to vision. I will provide more detail in the body of this complaint. (References will be provided in the body of the complaint). In addition, Mr. Johnson reported that he was “familiar with this drug” and that he had “read the literature” for this drug. His extensive review of the peer-reviewed clinical literature consisted of two articles, each written at least six years prior to the drug being marketed, available and regulated in the United States, and each published in countries outside the United States. On one article he presented information that was diametrically opposed to the article summary (related to eye movements). The other article discussed only ten volunteer healthy human subjects, only four of whom were women, none of them within ten years of my age. Mr. Johnson expanded the ten-volunteer-subject findings (again, done in a laboratory setting and not a clinical one) to include all humans taking therapeutic doses of the drug. One resource he described relying on is called Courtroom Toxicology, which is not peer-reviewed by the clinical world, and is authored by a lawyer (likely a prosecutor). I will discuss the problematic clinical bibliography for this publication in the body of the complaint. The DRE (Drug Recognition Expert) non-peer-reviewed literature that he discusses relies, in pertinent part, on a study done on primates, in 1968, on a different drug, ten years before clonazepam was invented, 27 years before the drug was available, marketed and regulated in the United States, and 37 years before Mr. Johnson represented the information in the study as accepted scientific fact for all humans taking the drug at therapeutic doses. When I attempted to contact the author of the ape study, I learned that he is retired. That study is: 9 David A. Robinson, Eye Movement Control in Primates, 161 Science 1219 (Sept. 1968). The reference document is here. Basically, it’s a, it’s a drug like diazepam but they put a chlor, a chlor, a chlorine atom on it, and that ends up, um, making it so that the test that we run, it’s called a liquid-liquid extraction, um, that test is incapable of pulling clonazepam out of the blood. The chemical name for clonazepam is 5-(2-chlorophenyl)-7-nitro-2,3-dihydro-1,4-benzodiazepin-2-one, and the chemical name for diazepam is 7-chloro-1,3-dihydro-1-methyl-5-phenyl-1,4-benzodiazepin-2(3H)-one. Both structures have chlorine atoms. Clonazepam is not utterly unique for having the chlorine atom attached to the phenyl group (a group attached to the diazepine ring that is closely related to benzene) of the benzodiazepine skeleton. Ativan (lorazepam), another common benzodiazepine, is also a chlorophenyl benzodiazepine, named, (RS)-9-chloro-6-(2-chlorophenyl)-4-hydroxy-2,5-diazabicyclo[5.4.0]undeca-5,8,10,12-tetraen-3-one. Mr. Johnson misstated the drug’s time-span of therapeutic activity as well as its’ half-life (he did not bother to explain half-life to the jury), and compared it, wrongly, in milligram-to-milligram equivalency that he termed “potency” to another drug, valium. He misrepresented rare adverse, uncommon adverse and in some cases, non-existent adverse events as common every-day effects that are part of the well-known therapeutic profile for the drug and commonly experienced by everyone who is taking the drug as prescribed. He lied about the ‘generally accepted’ purpose of the drug, agreeing with the prosecutor that clonazepam is “specifically designed to get the user high.” Ironically, clonazepam is listed in the Bureau of Prisons formulary. As the only benzodiazepine allowed in the prison system, one of its ten off-formulary approved uses is “**04. Detoxification for substance abuse**.” In some cases, Mr. Johnson represented rare adverse events associated with extreme serum toxicity of a different benzodiazepine as common effects related to intended therapy and prescription of clonazepam. Mr. Johnson lied by deliberate omission about not having a specific request to test for the drug by name in my case, when in fact he did have a request, to ‘test for’ clonazepam, by name. That request was verified to me by Laura Sudkamp on the telephone last month. 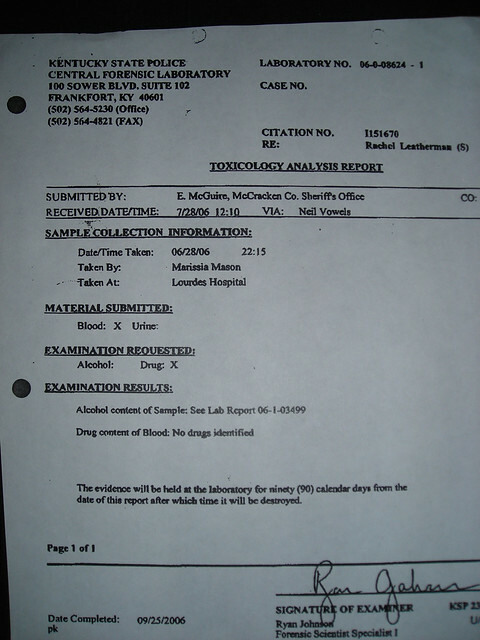 He failed to explain to the jury that forensic lab toxicology testing takes the unknown to the known in a two-pronged approach that involves presumptive screening followed by quantification if the screen is positive and a report of “no drugs detected” if the presumptive screen is negative. He failed to explain the limits of detection for his testing purposes. He failed to explain that, generally speaking, for all of the classes of drugs that they screen for, drugs that fall below the limits of detection are not reported because they represent no issue of toxicological or therapeutic interest. Mr. Johnson left the jury with the impression that (1) the drug was present in my blood and (2) no matter how high the level of this drug may have been, ie., even if the blood he presumptively screened had contained blood from a deceased person who had died from a toxic overdose of clonazepam and clonazepam alone, he simply would have had no way in the world to figure that out, with the equipment he had, in his toxicology laboratory at the time. Mr. Johnson, when confronted with his own exculpatory lab result that lacked an asterisked notation regarding clonazepam, misrepresented the same report as inculpatory, leaving the jury with the impression that there was not only clonazepam present in the blood, but the level was likely in the higher range for prescription therapy. He discussed, as would a licensed physician or clinical pharmacologist, the “normal dosages” at “normal dosage times” for this drug, even though he has, by his own admission, never seen it before in his life. In addition to this discussion being outside the scope of Mr. Johnson’s practice as a lab tech, Mr. Johnson’s discussion contained a dearth of information that was not bogus. He gave his name. I will assume, for the sake of argument that he told the truth about that. I was not able to verify his stated course of education, however. Mr. Johnson’s testimony has far-reaching potential impact on the citizens of Kentucky. I was convicted of a DUI (among other things that depended on the DUI conviction) with no drugs or alcohol in my blood, and without exhibiting any unlawful driving whatsoever. I appealed and my conviction was affirmed by the Kentucky Court of Appeals in a unanimous, 26-page published opinion. The opinion has ‘facts’ in it that are based on this man’s trial testimony. In other words, there is a published and binding affirming opinion in Kentucky that not only contains science fiction, but actually obviates the need for any lab testing at all. The Kentucky published opinion affirming is based on findings of fact that are not founded in any sort of clinical reality whatsoever, and are a direct result of Mr. Johnson’s testimony. The published opinion could potentially affect any and all drivers in Kentucky who are ever pulled over for any reason. Mr. Johnson’s problematic testimony can and likely will lead to future unfortunate litigation around future no-drugs-no-alcohol-no-improper-driving DUI convictions. Mr. Johnson appears to enjoy his deliberate, false testimony, as he smiles and giggles throughout. Part one of his testimony follows. Since he was recorded on videotape, I will include an official court-reporter transcript, for ease of review. Mr. Johnson is unsafe and unfit to work in a laboratory and make decisions about what to do with the blood samples that he receives. About a month ago, my son emailed me the video Psy – Gangnam Style. He did this because he knows my history with high-energy hip-hop/electronica, an essential music genre for anyone who takes roller blading seriously. I used to purchase bootleg tapes in West Hollywood and then roller blade to the tapes all around Santa Monica. Today, reports from MTV Europe are that “One of the night’s most popular performers was dance sensation Psy with his record-breaking hit “Gangnam Style”, which won Best Video. Last night, Fred (aka Mason/Masoninblue) came across this thing and started listening. We both just circled the drain; the thing started growing on us both and just would not stop. Now, just to confess here, I am 52 and he is 65, and we both ordinarily listen to areas of music that are pretty unrelated to this. Psy is a Korean artist, his genre is K-Pop (Korean Popular) and the words are in Korean with just a bit of English. However, Psy has managed to overcome cultural and language barriers, and his in-your-face infectious and sweet nature appeals to everyone, including us. His flash mobs are epic, spanning from the largest flash mob ever in Paris, to an illegal flash mob in Jakarta, Indonesia with so many people it simply left the authorities helpless, to others in New York, Rome, Los Angeles, and other places. Our night went like this: Step – Step – Step – Repeat step….Oppan Gangnam Style! I had to stop briefly when I nearly broke my leg, carrying a cup of soda and doing this dance down the steps. It’s probably safer if you’re old to begin with coming up the stairs. As Fred rubbed the sore muscles of his shoulder, he and I both fantasized about some solid plans to take over this staid town we live in, and instigate a memorable flash mob that would be well worth the jail time. While technically not illegal here, you don’t have to do anything illegal here to get arrested nonetheless. I guess it just feels really good to set aside worry or fear or concern about the sadness in the world today and see something that the entire globe can agree on: a cheesy, really fun dance with a catchy tune and words (yes, we’ve got some of the words memorized). The English translation and ‘Romanized’ lyrics are here. In this interview, Psy explains that he is a father of twins who are six in Korea and four in the US. Psy took some of his musical training at Boston University. When he was discovered by his current US manager, who wanted to sign Psy, Psy wondered why, and suggested that he take the manager to Koreatown and drink instead. Whop, whop, whop, whop, Oppan Gangnam Style!! Psy’s sunglasses are from French eyewear brand Thierry Lasry. I did find some discrepancy as to whether these were from Garrett Leight (probably because the two brands recently collaborated on a limited edition of sunglasses) but upon some closer inspection they’re definitely from Thierry Lasry. Psy really only goes through two different styles of sunglasses and one pair of swimming goggles, but I still had to do some digging through their collections and Look Books to hunt them down. The first is Variety 1015 from the opening scene in Psy’s video, as well as in the final scenes with HyunA and the flash mob. This was found in Thierry Lasry’s 2011 collection. 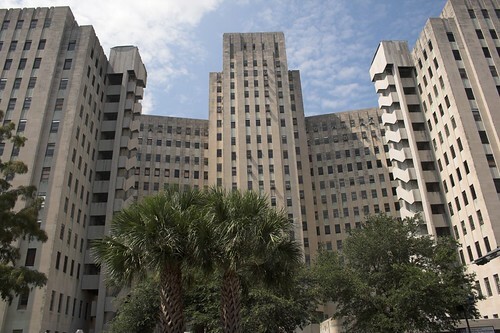 This is a true story of internship at the Public Health Hospital and at Charity Hospital in New Orleans in 1958, as told by Ray Owings, MD, age 89, and his wife Letty Owings, age 87. This essay represents just one year of a long and interesting history for Ray Owings, and it is part of a series. After this, we will go back and review the history of how he got to this point, and then will share more details about the medicine at that time. The first thing Ray said to me was, “Maybe you shouldn’t have come down here.” Ray was never, ever able to come home and the place was just a madhouse. It was a weird, weird, weird year. Everything was crooked in the politics, and we had the likes of Earl Long getting out of his car and peeing by the side of the road. It was just bizarre. Somebody shot Huey Long right there in the Capitol because you had to get dramatic in New Orleans. Earl, at thirty-six, called Huey “the yellowest physical coward that God had ever let live.” Huey Long said of Earl: “Earl is my brother but he’s crooked. If you live long enough he’ll double cross you.” Source. We had the shrimp people who paid for their baby delivery in shrimp because they thought the doctor ought to get a little something for his services and they were very grateful, so they brought shrimp. There just weren’t enough people to man the place, so I was home with the kids a lot and the first thing I did was slip and fall on some concrete slabs because everything was so wet your shoes turned green. It was truly a bizarre year but for all of its utter craziness, New Orleans had such a haunting and deep beauty about it. The weeping trees were gorgeous, and the flowers were so pungent it was like putting your face into a jar of perfume. We had four small children at the time. During the internship at Public Health Hospital in New Orleans that year, the interns could go to Charity Hospital right near the Mississippi River as well, so that’s what I did. I reported for duty July 1, 1958 and at first I just rented a room. It was hotter than the damn hinges of Hell, so I bought me a little old fan and had the thing directly on me during the night. Letty moved down there but I wasn’t so sure she should have even come. The training was very good. At the Public Health Hospital we treated merchant seamen and their families as well as fishermen and their families. Charity was quite interesting because if you wanted to see a disease, you could find it in that hospital. For example, there were very few cases of diptheria in the US, and a physician may go through an entire career without seeing it, but on the Pediatrics ward we had 25 cases of diptheria at one time. At Charity I worked with a resident named Clarence MacIntile from Idaho. He went back, and we kept in touch. Interns had free run to do what they wanted, so we ran the Pediatrics Deartment by ourselves. The place was always jammed, and I mean there were hundreds of them. But there just weren’t enough hours in the day, and you were lucky to get to a little bed across the street and get a few hours of sleep. Emory had been a good school because during the clinical years, students got to do a lot of things and this was not true of some medical schools. I felt that my training was much  better than others, so I was happy about that. What took place over my lifetime to get to that point might have been called the ‘American Dream’ just a little while ago. You hear that term, but no one ever talks about the nitty gritty of how this was obtained. It will be important to begin at the beginning in the next few essays, but my philosophy has always been that no matter what it is one chooses do do in life, it is essential to do the very best you can do at it. End Note: I do not usually put more than one video in, but here is a second Charity ER video from TLC. A 9-year-old girl was involved in an accident where the frame of a swing set fell onto her skull. She has a severe head injury with bleeding and her brain is swelling. The brain has few places to swell to inside the rigid skull except through the foramen magnum at the base of the skull, and this is called herniation. Doctors will monitor the pressure, as they explain. They will also likely induce a coma to rest the brain and decrease oxygen demand. Posturing is an indication of severe head injury, where the arms become rigid and either turn out and away from the body or move inward toward the core of the body. This video is called Kernisha.